Hello! We are Jeff and Melanie Schmuck, the new proud owners of this roadside wonder! We purchased the Haines Shoe House February 2015. We love seeing all the people the Shoe attracts from all over the world! Once Jeff laid eyes on this gem he knew he had to have it! Luckily his wife, Mel was right on board with that idea. We love old and unique things...the Shoe House just made sense for us. You can find Mel at the Shoe most days...baking, serving ice cream, gardening, painting, keeping busy, etc. When Jeff's not visiting Mel at the Shoe House for some ice cream (peanut butter ripple's his favorite) he's helping his clients find their dream home while working as a real estate agent with Berkshire Hathaway. Please stop in and say hello! 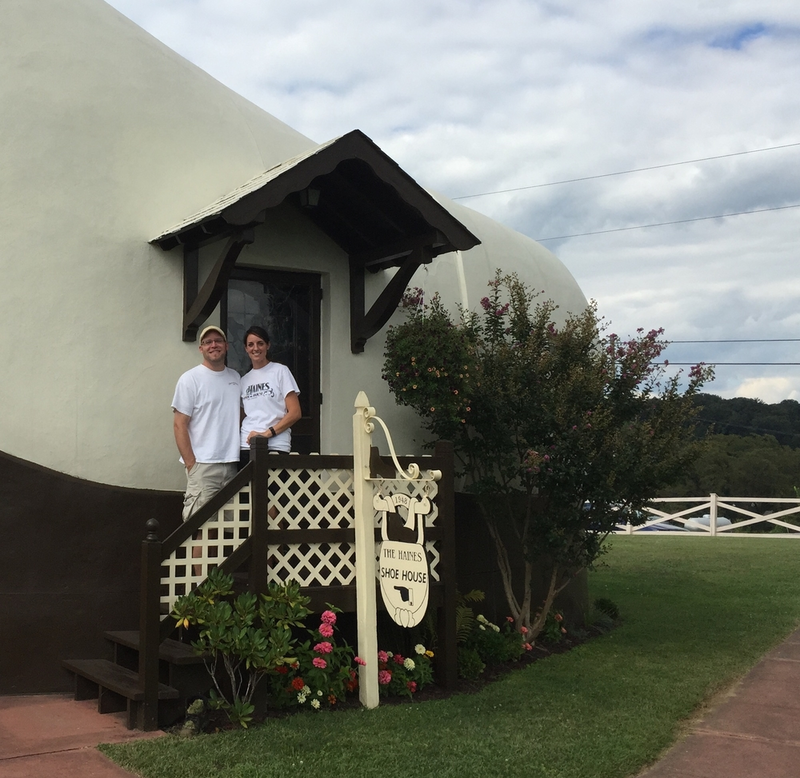 We love to hear your stories about the Shoe House or where your travels are taking you. While you're here you might as well take a guided tour or cool off with some delicious locally made ice cream by Beck's. Mel makes some tasty treats too for those with a sweet tooth! Click through the pics below to see some examples.